Air India plans to lease its realty assets in Delhi to government enterprises. The airline does not prefer divesting the realty assets to private companies. 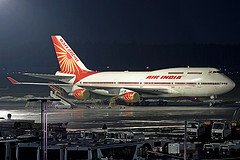 Air India prefers government entities while leasing its properties in Delhi. NEW DELHI: Air India plans to lease out its real estate assets, located on Baba Kharak Singh MargBaba in Delhi. However the airline has expressed that it would not sell its properties to any private entity but will lease them to government entities. While planning to lease out its real estate assets in Delhi, Air India has said that the preference would be given to government entities. ONGC, LIC and SIB have showed their interest in leasing the property of Air India. Private sector companies may not get a chance to lease the property of Air India which prefers government entities to private sector companies. As part of its monetization program, Air India will lease around 1.7 lakh sq. ft. of office space in central Delhi. The property is located on Baba Kharak Singh Marg. India’s FDI inflows reached to 41.5 billion dollars last year, constituting 9.6% of its gross fixed capital formation, against just 1.9% annual average in 90s. India attracted 41.5 billion dollars in FDI last year, its outward flows or overseas investments amounted to 17.7 billion dollars, roughly 4.1% of its gross fixed capital formation. This is in sharp contrast to its meager annual average overseas investments of 110 million dollars for last decade, when such outward investments comprised 0.1% of its gross capital formation. The FDI stocks of India, which were just 1.6 billion dollars in 1990, zoomed to 123.3 billion dollar in 2008, constituting 9.9% of GDP, against a paltry 0.5% of GDP in 1990. In the case of China, such FDI flows, which were 20.7 billion dollars in 1990, leapt to a whopping 378 billion dollars last year. In the case of cross-border mergers and acquisitions, Indian companies’ net sales surged from an annual average of 282 million dollars during 90s to 4.4 billion dollars in 2007 and to 9.5 billion dollars in 2008. Against this, Indian companies’ purchases of overseas firms which averaged 104 million dollars annually between 90s rose to a peak of 29 billion dollars in 2007 and came down to 11.6 billion dollars last year in the wake of the onset of the global economic and financial crisis. Two Indian companies, Tata Steel and ONGC, found a place among the top hundred non-financial transnational companies from developing countries, ranked by foreign assets in 2007.